This college crowd hangout is known for their specialty drink – the Delusion – the contents of which are unknown to all but the bartenders. 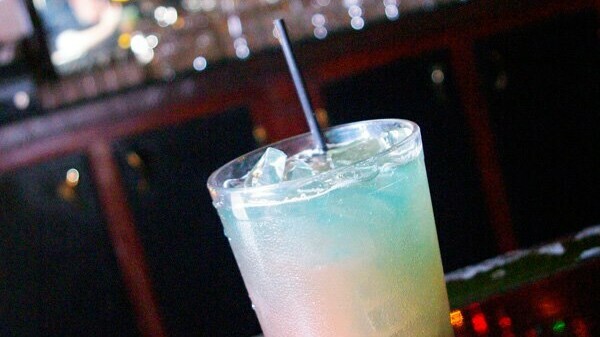 It's blue and fruity – that's all you really need to know. With two levels (the open balcony on the second level looks out onto the rest of the bar, under which there are cozy booths), seating options abound. Don't miss out on the free popcorn, pool, darts, pinball machine, touchscreen games, and foosball. Eight beers on tap and 30 specialty brews. The Delusion was voted Best Specialty Drink for seven straight years by V1 readers.